The great thing about this iced tea recipe is that you can make one glass of iced tea or a whole pitcher of ice tea for roughly the same amount of work. So make a big container! It will last all day! If you have been making iced tea from powdered drink mix or buying gallons of Arizona iced tea at the store because you didn't know how to make it at home, I'm about to blow your mind! 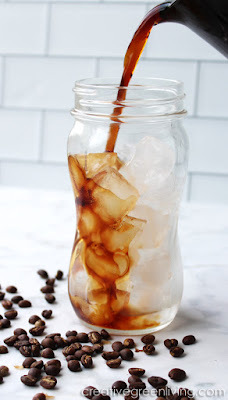 I can teach you how to make iced coffee at home, too! Ready to have your mind blown even more? 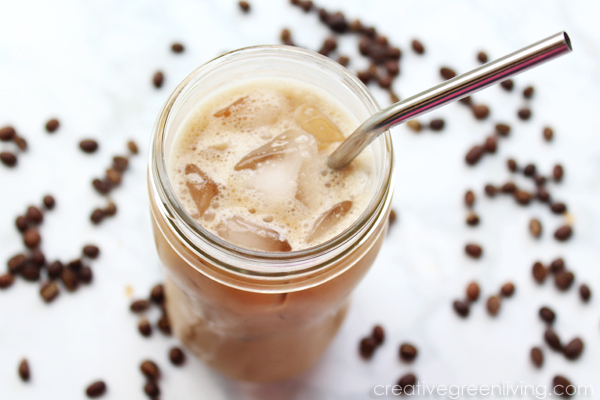 Learn how to make iced coffee and iced lattes using my easy at-home recipe! Nutrition data is for unsweetened tea. 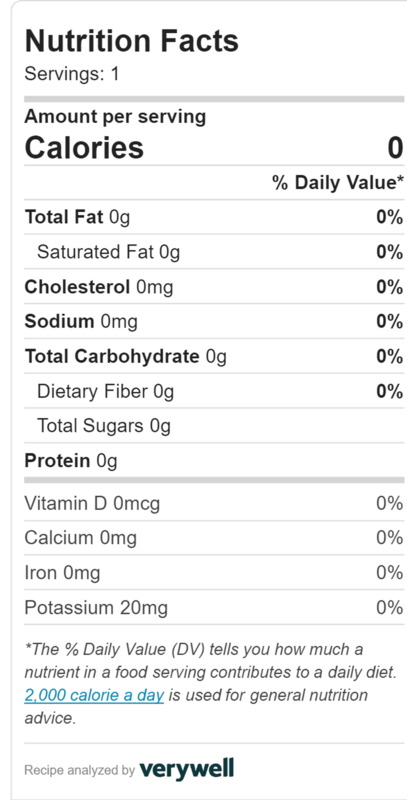 Nutrition information calculated at: Calorie Count. This recipe was originally written in 2011 and became surprisingly popular. The poorly lit photos shot in my kitchen with a non-professional camera are definitely a sign of the times before Pinterest created a blogosphere full of perfect images. It's now July of 2018 and as I am updating the recipe and photos, I'm tempted to swap out the process shots of my making the iced tea because they are less beautiful than I would like. I've decided to leave them, though, because people find them relatable. And that's fine with me! It can be a pitcher or an individual glass. I recommended a glass container because most plastic containers contain hormone disrupting chemicals which can leach out when exposed to heat, acid or liquid. If you are not already sure how many ounces of liquid your container holds, go ahead and measure that now. Boil about a quarter of the amount of the total water your container holds. The amount doesn't have to be exact, just make sure you heat the water in a different container than you're going to use for your finished tea. My pitcher holds 8 cups, so I warmed up 2 cups of water. Use a tea kettle or a plain old pot on the stove. The amount doesn't have to be exact, just make sure you heat the water in a different container than you're going to use for your finished tea. While your water is working on coming to a boil, get your teabags or loose tea ready. If you are using individually wrapped tea bags, unwrap them and remove any strings or paper attached to the bags and place them in a heat proof container like a heavy duty glass measuring cup. You'll want one teabag for every 8 ounces of water your container holds. If you prefer to use loose tea, scoop 1 level teaspoon of tea for every 8 ounces of water your container holds. Put the loose tea in a heat proof container like a large metal or glass measuring cup. Once your water is done boiling, pour the hot water over the tea bags or loose tea in the heat proof container you put them in. Set a timer in your kitchen based on the kind of tea you chose. If you aren't sure, check the packaging. If it says "Darjeeling" or "Oolong", those are kinds of black teas. If it doesn't say, go with the time for black tea. Once the timer goes off, use a spoon to remove the tea bags from the hot tea. If you used loose leaf tea, pour the tea through a strainer to remove the tea leaves. I prefer to keep my tea unsweetened, but if you want to sweeten it before serving, now is the time. Add your sugar, honey, agave or stevia to the warm tea and mix until well dissolved. We're almost done! Fill the container you want your tea to end up in with ice all (or at least most) of the way. If you are making a single glass of tea, this would be your glass. If you are making a pitcher of tea, that's what we will use. Very carefully pour the hot tea over the ice. Aim for the center of the ice and try not to have the hot tea touch the sides of the container as thermal shock could cause a glass container to crack. Pour the tea into a glass over iced. Add sliced lemons if desired. Do you like to drink your tea with a straw? These biodegradable paper straws are great if you want a disposable option. Don't mind dishes? These steel straws are my favorite. 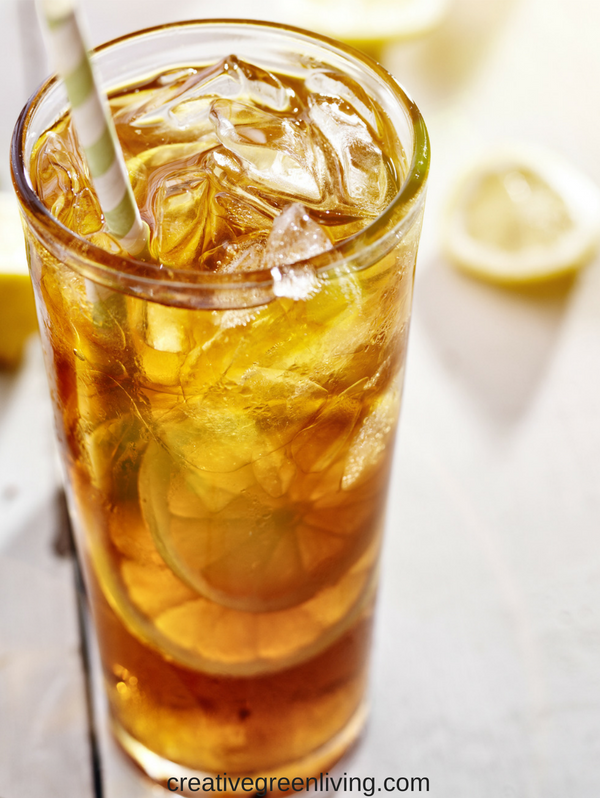 This iced tea recipe works for any type of tea! Get the up-to-date list of some of my favorite teas I like to brew up as a delicious iced tea through the Creative Green Living page on Amazon. Want to pin this recipe to come back to later? 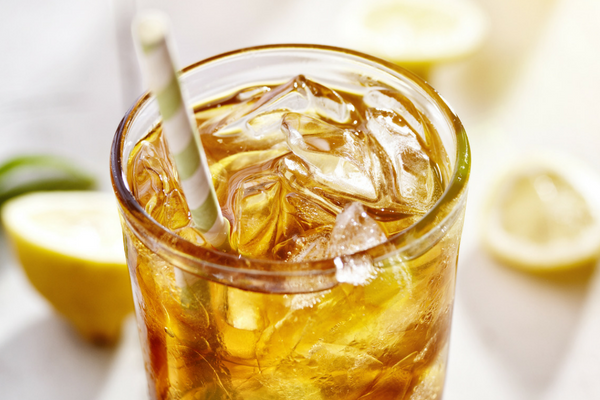 Iced tea is surprisingly simple to make from scratch. The great thing about this iced tea recipe is that you can make one glass of iced tea or a whole pitcher of ice tea for roughly the same amount of work. So make a big container! It will last all day! While water is heating prepare the dry tea. If using tea bags, remove all strings, tags, etc from the bags and place them in a heatproof container such as a large glass measuring cup. If using loose tea, add tea to bottom of heatproof container. Once water has boiled, pour hot water over tea. When brew time is done, remove tea bags from hot tea with a spoon. If using loose tea, pour tea through a strainer to remove leaves. If you would like to make sweetened tea, stir your desired amount of sugar or other sweetener into the tea while it is still warm, until completely dissolved. Fill a 2 quart pitcher with ice. Pour hot tea over ice, aiming at the center of the ice and being careful not to get hot tea on the side of the cold pitcher (so as not to shock it and possibly break the glass). Keep finished tea in refrigerator until ready to serve. Serve tea over ice with lemon slices if desired. nutrition data is for unsweetened tea. Looking for more healthy beverage options? Learn how to make more healthy beverages that fit your gluten free, paleo, keto or Whole30 lifestyle! 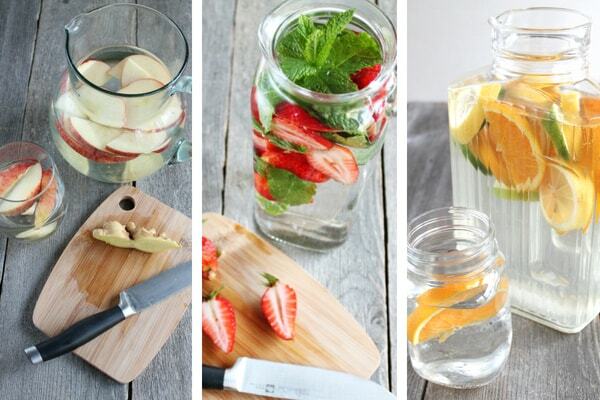 Everything you ever wanted to know about infused water and 9 infused water recipes to try! 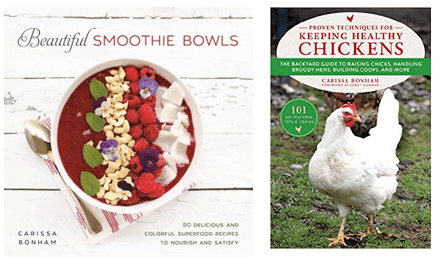 She is the author of the hardcover cookbook, Beautiful Smoothie Bowls (Skyhorse, 2017) and several ebooks. 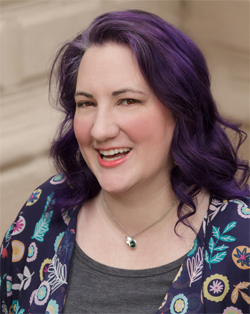 Her projects have been featured in magazines like Kids Crafts 1-2-3, Capper's Farmer and Urban Farm Magazine. 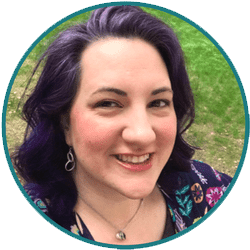 Follow her on Pinterest, Instagram, Twitter or join the Creative Green Living community group. thanks for sharing! i don't like iced tea or drink it, so when we have gatherings i always ask friends to bring it since i don't even know where to begin- so this is a huge help! I have always made iced tea in my coffee maker. Add the teabags where you usually put the coffee grounds and then run a pot of water like you would for coffee. Works perfectly every time!